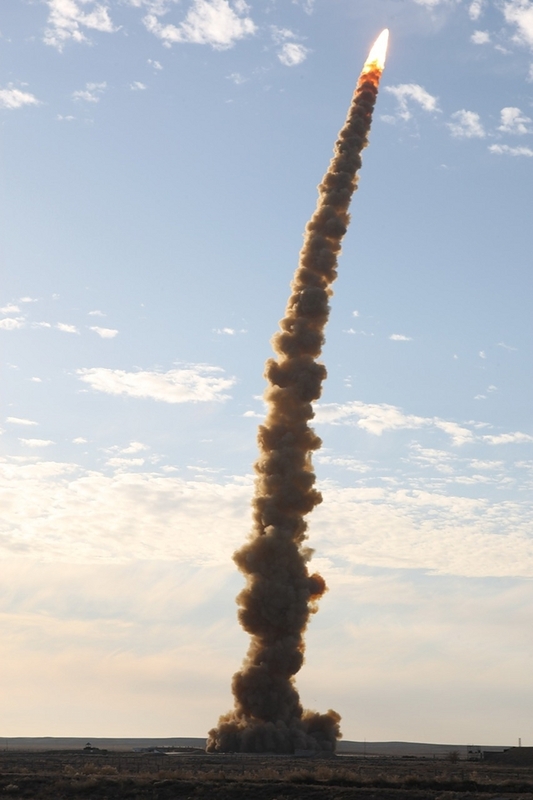 A-135 53T6 SH-08 Gazelle endoatmospheric ABM interceptor launch. The S-500 is intended to replace this system. 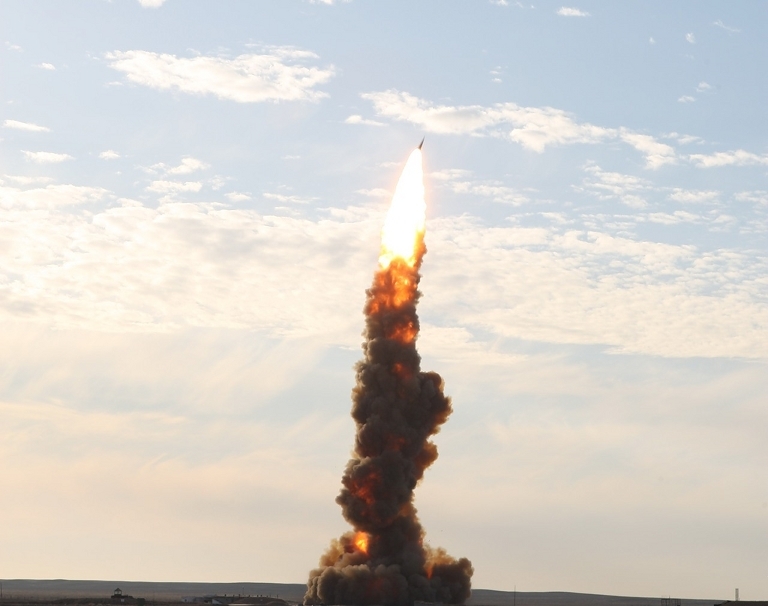 The subject of BMD (Ballistic Missile Defence) has produced considerable interest since the 1991 Desert Storm campaign, when Saddam Hussein's Baathist regime bombarded Saudi Arabia and Israel with Al-Hussein ballistic missiles, based on imported Soviet R-11/17 Scud missiles. Over the last two decades there has been considerable growth in the number of deployed ballistic missiles, and nations operating them, primarily in the sub-strategic theatre and battlefield range categories, but more recently also weapons with strategic range performance. Major proliferators and operators include China and the DPRK. Nations which have deployed operationally viable inventories of theatre range class ballistic missiles include China, the DPRK, Pakistan, India and Iran. Concurrently Iran, the DPRK, and India are actively developing, or have developed ballistic missiles with strategic reach. North Korea has developed the Taepo-Dong series of IRBMs (Intermediate Range Ballistic Missiles), with the extended range Taepo-Dong 2 variants qualifying as ICBMs (Inter Continental Ballistic Missiles). 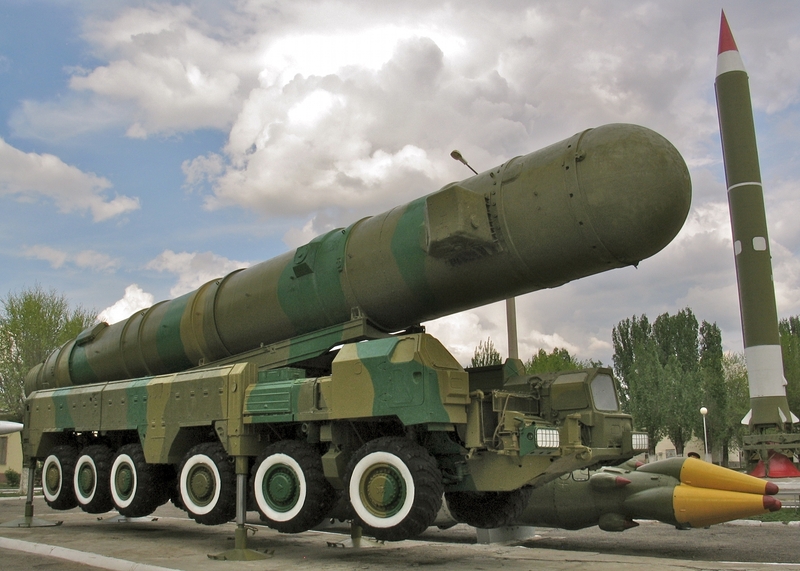 Iran has collaborated with the DPRK to develop the Shahab series of ballistic missiles. The Shahab 3 and 4 are IRBMs derived from the Nodong 1, while the Shahab 5 is claimed to be genuine ICBM, and likely derived from the Taepo-Dong 2. Both nations have active programs to develop and deploy nuclear warheads. The result of the proliferation of IRBMs and ICBMs in the developing world has been, over the last two decades, growing development and deployment investments in ABM (Anti Ballistic Missile) capabilities across the developed world. During the Cold War only the United States and Soviet Union made major investments in ABM capabilities, with only the Soviets deploying and continuing to operate a significant capability since the 1970s. Both Cold War antagonists did deploy limited dual-role ABM / SAM (Anti Ballistic Missile / Surface to Air Missile) capabilities, optimised for theatre range class ballistic missiles, in the Soviet S-300V / SA-12 Giant/Gladiator and United States MIM-104 Patriot systems, the latter used extensively in 1991 against Iraqi IRBMs. Importantly, both of these systems were developed to engage and destroy high performance aircraft, as well as ballistic missiles. Since then we have observed the development of Israel's Arrow series of ABMs, a number of designs in the United States, and enhancement of the ABM capabilities in the post-Soviet Russian built S-300PMU2 Favorit / SA-20B Gargoyle, and S-300V2 / SA-12 Giant/Gladiator systems. Most of these weapons provide an “endo-atmospheric” capability, intended to defeat ballistic missiles which have re-entered the atmosphere. Importantly, advancing technology has also seen the development and initial deployment of lightweight and mobile weapons providing an “exo-atmospheric” capability, intended to defeat ballistic missiles before they re-enter. While Russia continues to operate remaining components of the Cold War developed A-135 strategic ABM system, and is upgrading its inventory of S-300V1/V2 / SA-12 Giant/Gladiator tactical ABM/SAM systems to the S-300V4 configuration, all of these systems by basic design date to the 1970s. 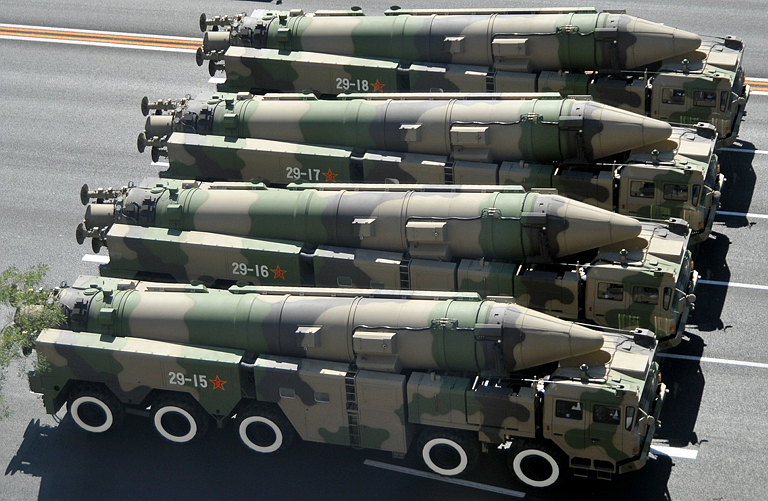 Above: China's large inventory of IRBMs, exemplified by these DF-21C systems, provide significant coverage of Russian territory and represent a genuine long term strategic risk to Russia, should relations between China and Russia ever break down. In a sense, China's deployment of large numbers of IRBMs mirrors the Soviet 1980s period play with the RSD-10 Pionier / SS-20 Saber IRBM against NATO. Such a capability provides a significant strategic effect without the commitment of strategic ICBM assets. Below: RSD-10 Pionier / SS-20 Saber IRBM on display at Kapustin Yar (via Wikipedia). The strategic problem Russia confronts is that much of its post-Soviet era geographical footprint is well within reach of IRBMs and ICBMs launched from Iran, the DPRK, but especially China. While Russia does not suffer the antagonism of Iran and the DPRK, and has a relatively stable relationship with China, in any contingency Russia would be mostly open to attack by any of these three nations. China's Second Artillery Corps inventory of IRBMs allows China to hold at risk much of Russia, without having to commit China's strategic ICBM force. At this time Russia has initiated the progressive block replacement of all of its “strategic” and long range “tactical” SAM force which mostly dates, by deployment, to the last years of Cold War. The effort is planned for the coming decade, and intended to provide a robust capability to defend key national infrastructure and strategic military assets from modern combat aircraft, cruise missiles, and other precision guided weapons. This program is also expected to re-invigorate export sales of Russian built long range SAM systems, which have slowed as China transitions from imported Russian built S-300P series SAMs to domestically built HQ-9 systems. The recapitalisation of Russia's air defence system was seen as an opportunity to also recapitalise Russia's increasingly aged ABM system. In part this exploits the reality that engagement radar and missile kinematic performance requirements for very long range SAMs are compatible with many of the performance needs of ABM systems. The Almaz-Antey S-500 Triumfator-M is the intended follow-on to the S-400 SAM/ABM system, but is to be primarily optimised for the ABM role. The S-500 would be deployed in parallel with the S-400 system, which is mostly intended to replace extant Russian PVO S-300PS / SA-10B Grumble and S-300PM / SA-20A Gargoyle systems, as well as Army S-300V / SA-12 Giant/Gladiator systems. The Russian MoD has disclosed very little on the planned configuration of the S-500, or the design of the missiles, radars and other system components. The most detailed comments to date on the S-500 design have been observations made by Russian defence and industry officials in recent interviews. In May, 2011, General Anatoliy Kornukov observed that the S-500 would be derived from the existing S-400 Triumf, but reduced in dimensions and more power efficient. 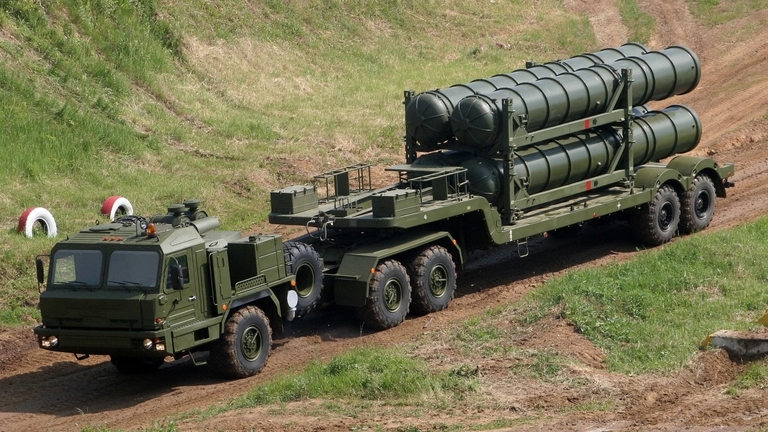 He noted that the S-400 was “cumbersome, expensive, and demanding in power consumption ... but quite effective”1. The design aim for the S-500 system is to extend the engagement envelope of Russian air defences beyond an altitude of 30 km, transitioning from an “air defence system” to an “air / space defence system”. 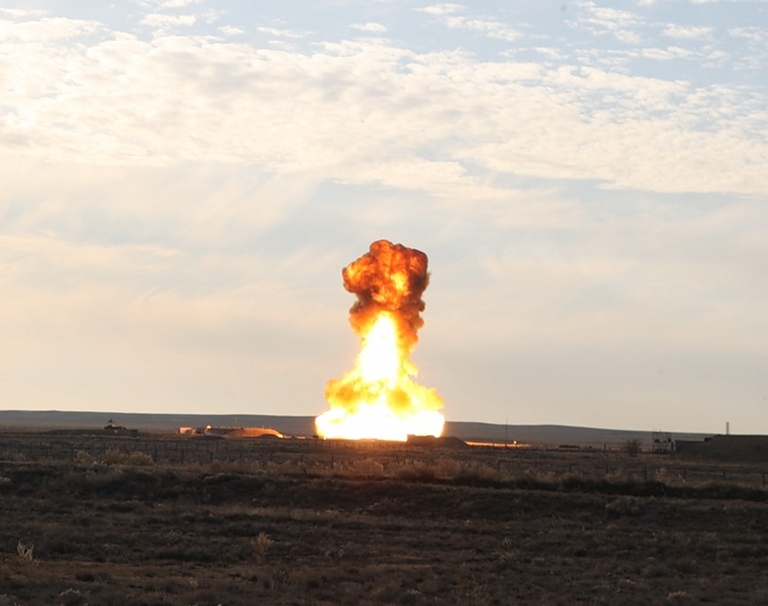 This new doctrine, promulgated in February, 2011, by the Russian MoD, was detailed in an April, 2011, interview by Igor Ashurbeyli, CEO of Almaz-Antey2. The most detailed technical disclosure to date [June 2011] are a series of drawings released by BZKT, manufacturer of the all-terrain vehicles intended to host the new S-500 battery components. 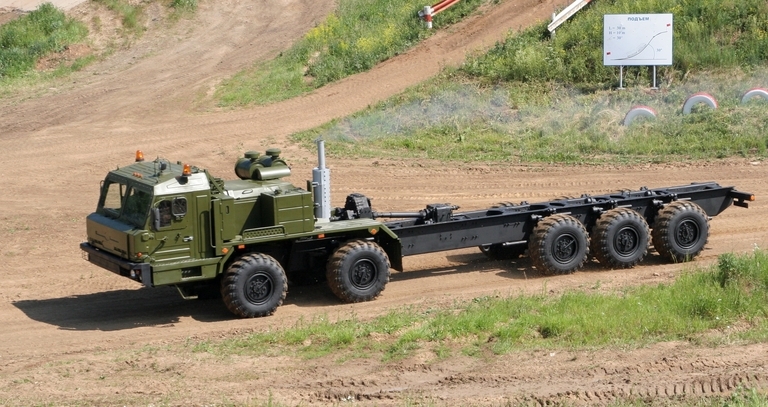 The choice of the BAZ-6909 series vehicles, the intended standard for future S-400 battery components and other Russian self-propelled radars, command posts, and land based electronic warfare equipment, indicates that the S-500 will be a highly mobile and survivable system, built for “hide, shoot and scoot” operations, a philosophy to date only seen in the 1980s S-300V / SA-12 SAM/ABM system. This is a major departure from past practice. The extant Russian ABM system, designated the A-135, is a fixed silo based design, with cold launch cylindrical missile transport containers carried on MAZ-7910 series 8 x 8 and 12 x 12 vehicles, to permit rapid reload of expended silos3. 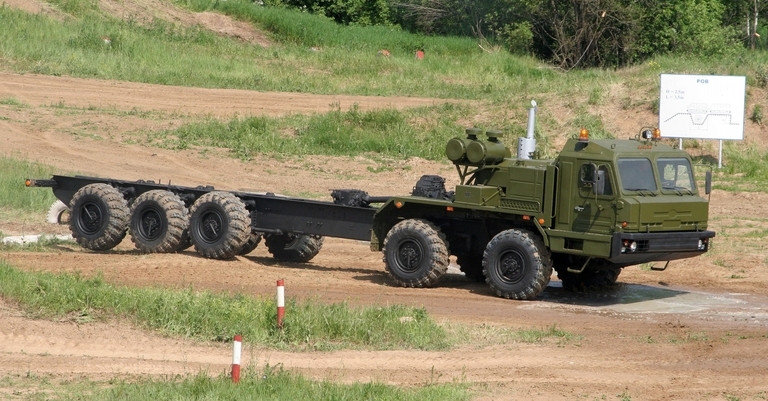 51T6 SH-11 Gorgon exoatmospheric ABM Transporter/Loader (via Russian Internet). 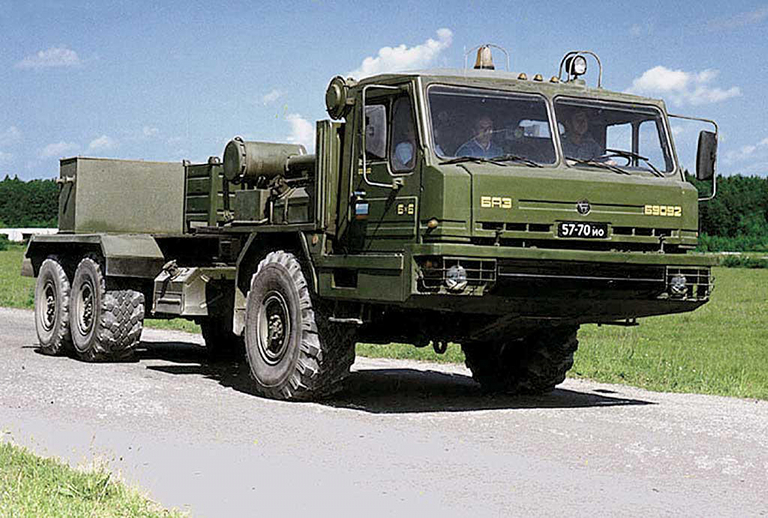 53T6 SH-08 Gazelle endo-atmospheric ABM MAZ-7910 Transporter/Loader (via Russian Internet). 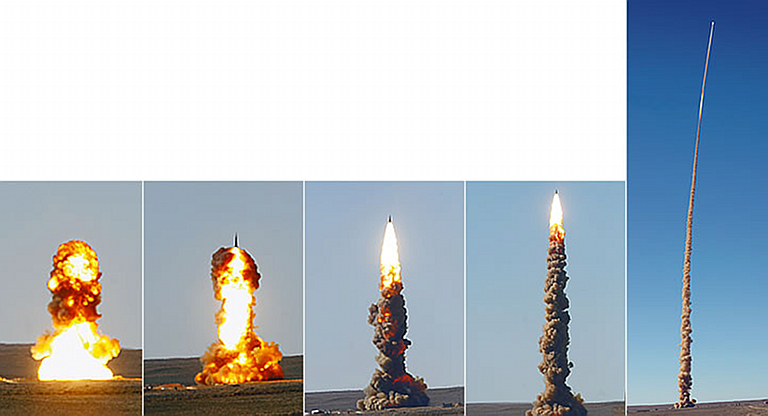 53T6 SH-08 Gazelle endo-atmospheric ABM silo launch (via Russian Internet). S-300V / 9M82 SA-12B Giant round (image © Miroslav Gyűrösi). 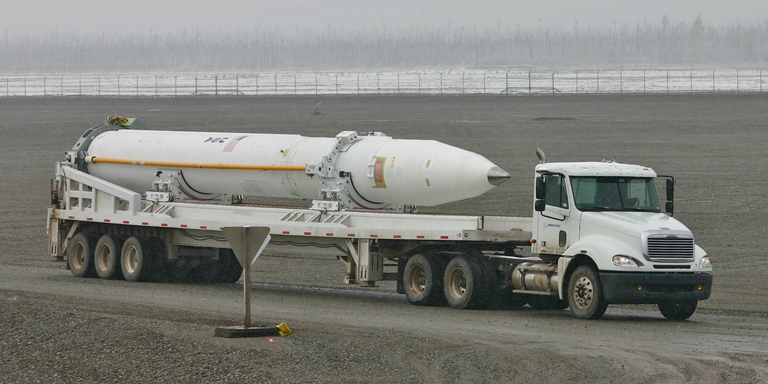 The A-135 system employs two missile types, the larger liquid propellant Fakel 51T6 / SH-11 Gorgon exoatmospheric ABM, now retired, and the smaller solid propellant Novator 53T6 / SH-08 Gazelle endoatmospheric ABM, the latter modelled in many respects upon the Martin-Marietta Sprint ABM. The A-135 system was developed specifically to counter United States, British and French ICBMs and SLBMs. Developed during the Soviet era, the A-135 provided a strategic ABM capability, with forward deployed Red Army forces in Western Russia and Warsaw Pact nations to be defended against US Army Pershing II IRBMs by the S-300V / SA-12B Giant, also modelled on the Martin-Marietta Sprint ABM. From a technological perspective, designing a self propelled ABM system is not a trivial task. 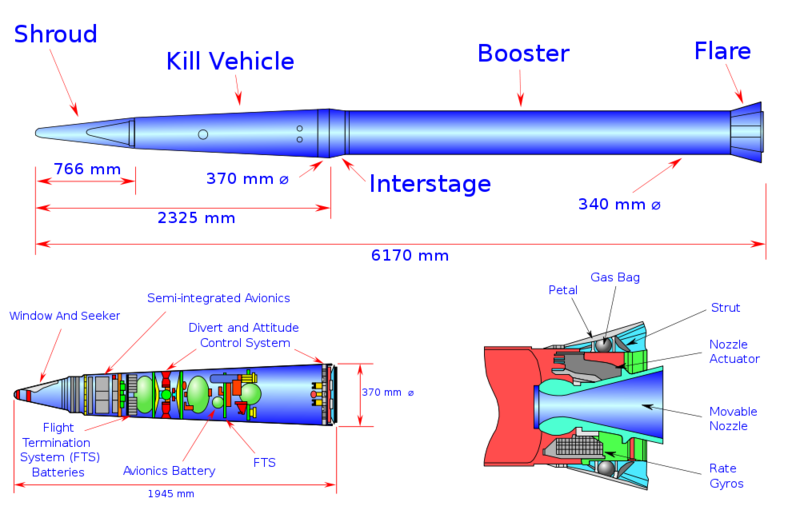 However, as the United States effort with the Sprint and HIBEX, and Israeli effort with the Arrow 2 show, it is feasible to construct a compact endo-atmospheric interceptor small enough for mobile deployment, and the 9M82 missile is similar in size, range and apogee performance to the Sprint, with 65% greater launch mass, even if its acceleration performance is inferior - for comparison the 53T6 Gazelle peaks at 200 G and the Sprint at 100+ G. The Israeli IAI Arrow 2 ABM has an apogee of 50 km, and range of 90 km, with a launch mass of 3,500 kg, the latter also comparable to the Sprint ABM. With advances in propellants and lighter, more compact guidance, a missile in the performance class of the 53T6 Gazelle in the envelope of the 9M82 series is clearly feasible without unusual technical risk. The baseline for a mobile exo-atmospheric interceptor is the three stage RIM-161A SM-3 family of naval ABMs, which are cited at an apogee of ~160 km and range of ~500 km. 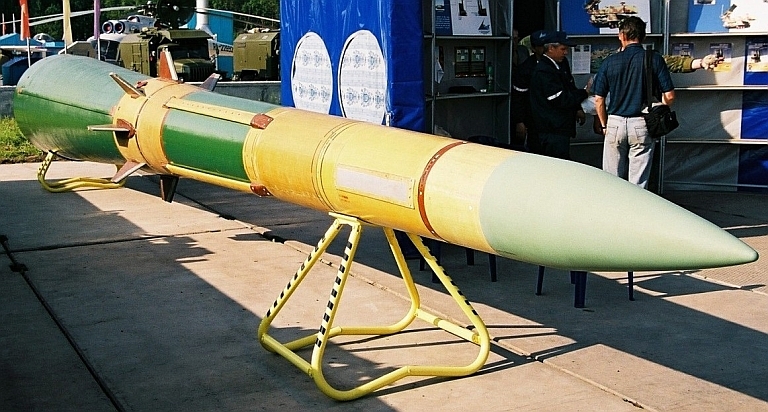 This missile has a cited launch mass of 1,500 kg and length of 6.55 m. Yet again this missile design is compact enough for self-propelled battery application, however it uses a much more complex design, with a lightweight “hit-to-kill” LEAP (Lightweight Exo-atmospheric Projectile) interceptor vehicle. The planned IAI Arrow 3 would provide similar capability, also using “hit-to-kill” technology. What design strategy Almaz-Antey pursue remains to be observed. An S-500 endo-atmospheric interceptor derived from the 9M82/9M82M is a reasonable possibility. Predicting what form the exo-atmospheric interceptor will take is more difficult, as there are more variables. If a three stage design is employed, using “hit-to-kill” technology similar to the RIM-161A SM-3, then yet again a derivative of the 9M82/9M82M airframe would be feasible. If the kill stage design is less ambitious, and as a result larger and heavier, then in turn a much larger booster stack would be required to lift the payload. Available material provides only an incomplete picture of the S-500 battery structure and tie-in, although considering public statements about its relationship to the S-400, some reasonable inferences can be made at this time. 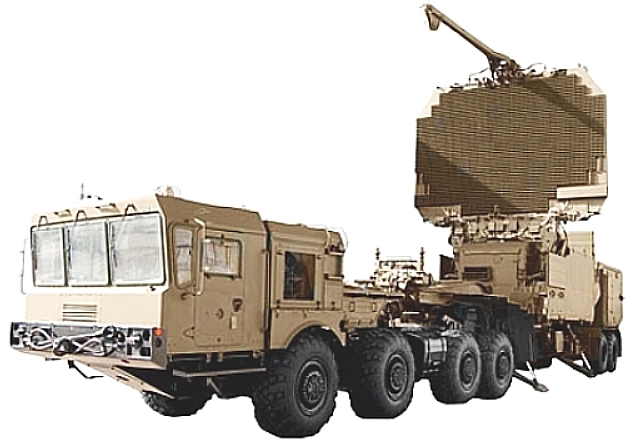 Battle management and ABM acquisition will be performed by the 91N6A(M) Big Bird Acquisition and Battle Management Radar, an evolution of the 64N6E series, typically used to support multiple S-300P/S-400 batteries. In ABM mode this passive phased array radar is mechanically pointed to the threat, the antenna tilted back, and electronic beamsteering employed to search the target volume. Two battery command post types are listed, the 55K6MA which is clearly an evolution of the S-400 55K6E battery command post, and the 85Zh6-2, which may refer to a command post for an extended battery. A number of battery components, including the command posts, are drawn with a new style of telescoping datalink antenna, which is cylindrical in shape. 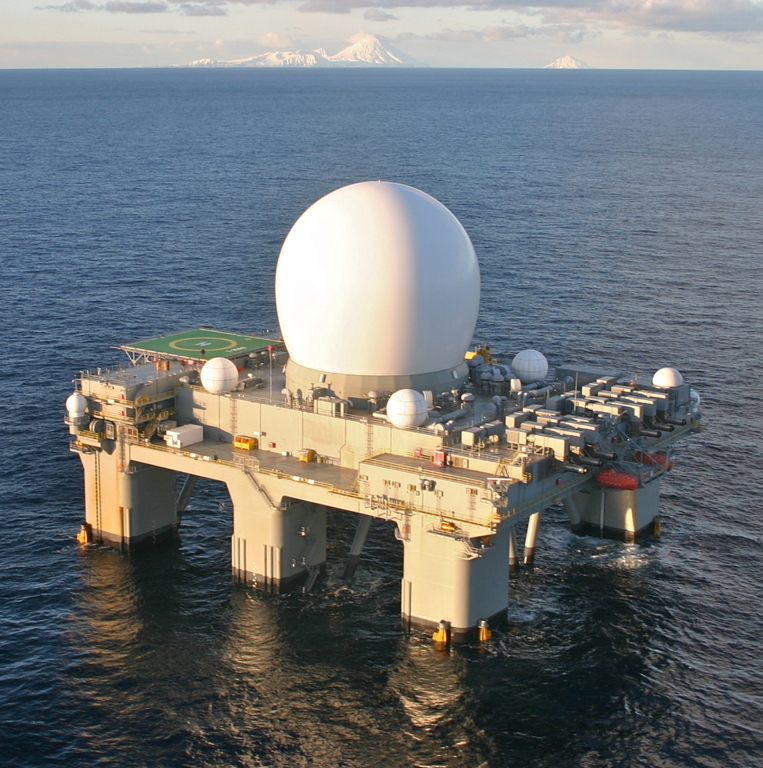 The 96L6-TsP Acquisition Radar is a direct derivative of the 96L6-1 series used an a battery acquisition radar in the S-400. Its inclusion indicates that aerial targets will be part of the S-500 tasking, as this radar is not adaptable for ABM operations. This inference is further supported by the inclusion of the 40V6MT Universal Mobile Mast System in the S-500, a replacement for the 1970s developed Ukrainian built 40V6M/MD mast system used with the S-300P and S-400. Two engagement radars have been disclosed, although it is unclear whether the associated NNT6 series designators refer to the radars, or to the missiles they guide. The available drawings suggest space fed passive phased array designs. The latter would be a low risk design strategy for Almaz-Antey, as this technology is mature in Russia, whereas X-band AESA technology in high power-aperture applications is not. What missiles will be deployed in an S-500 battery remains to be disclosed. There is little doubt that a new exo-atmospheric interceptor will be part of the mix. Existing S-400 SAMs such as the 48N6E3, 40N6 and 9M96 would all be options to address the SAM capability requirement in the system. Whether the endo-atmospheric intercept capability is to be addressed with an evolution of an extant S-400 missile, or a new missile design, remains to be disclosed. The 77P6 Self Propelled Transporter Erector Launcher appears to be based on the proposed 9A82MK TELAR for the S-300VMK 9M82M Giant missile. 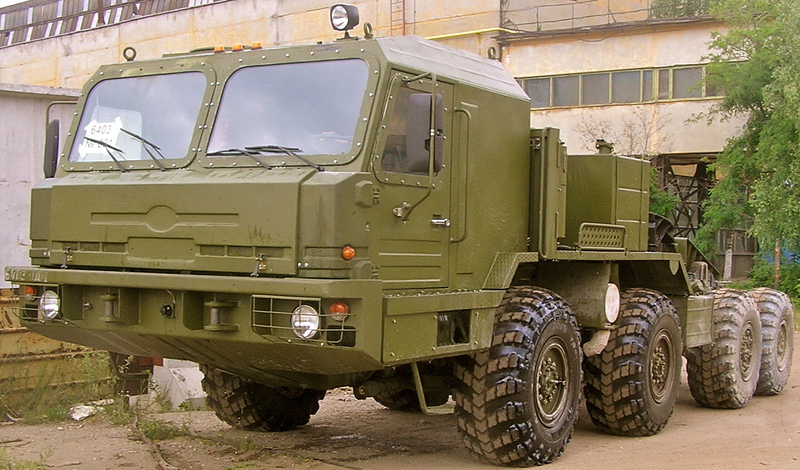 All battery components are carried on hardened BZKT BAZ-6909 family vehicles, in 6 x 6, 8 x 8, 10 x 10 (8) configurations. These are typically powered by 470 to 550 SHP turbocharged diesel engines, can climb gradients up to 30°, and ford bodies of water up to 1.7 metres deep. Gross weight limits vary between 30 and 54 tonnes for basic vehicles, and semitrailers of up to 80 tonnes can be towed by the tractor variants. The basic vehicle design was originally developed for heavy artillery tow tractor applications. Resolution of the unknowns in the S-500 battery structure will only occur when the Russian MoD permits further disclosures. The 55K6MA CP appears to be a rehosting of the baseline S-400 55K6E CP to the BAZ-69092-012 chassis, with the addition of an improved NK Orientir precision navigation system. The telescoping datalink antenna appears to cylindrical in shape. There is insufficient detail to infer any design changes between the baseline 91N6 and the S-500 variant 91N6A(M) subtype. 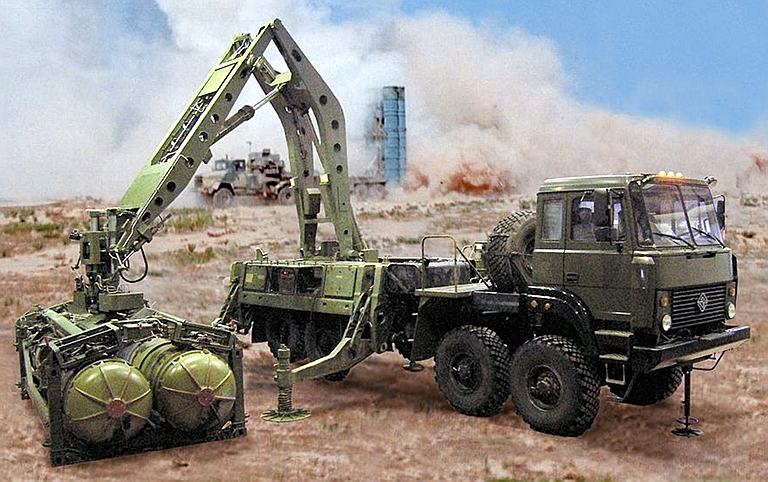 A BAZ-6403.01 tractor is used, also intended for future S-400 builds. The semi-trailer design has been revised and would provide better off-road handling due to the reduced surface loading of a three axle design. The 96L6-TsP Acquisition Radar appears to be a rehosted system on the BAZ-69096 chassis. The gas turbine APU location has been changed. A telescoping datalink mast, with cylindrical antenna elements, appears to be part of this configuration. The drawing does not include the NK Orientir precision navigation system, and may be an omission. This radar is drawn with the antenna head module of a 92N6E Grave Stone. The crew cabin is much smaller, and similar in design to that used with the 64L6E Gamma-S1E. An important design feature is the use of a telescoping datalink mast, with cylindrical antenna elements, which suggests use with widely dispersed TELs, in turn suggesting a SAM engagement capability. A reasonable inference is that this radar is a derivative of the 92N6E Grave Stone, intended to provide guidance against aerial and IRBM targets. The drawing does not include the NK Orientir precision navigation system, and may be an omission. This radar is drawn with an enlarged rendering of the antenna head module of a 92N6E Grave Stone. The 10 x 10 BAZ-69096 chassis indicates the need to carry a much heavier radar than the 92N6E Grave Stone, which is consistent with the ABM radar function which requires greater power-aperture product performance compared to a SAM engagement radar. 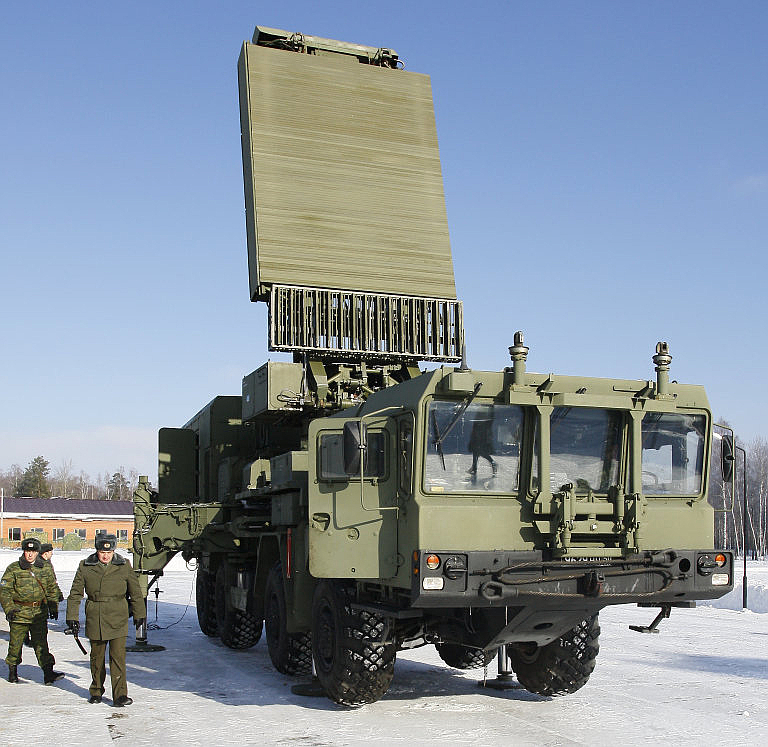 The size of the folded antenna is similar to that in the proposed wheeled 9S19MK Imbir / High Screen ABM acquisition radar, and 9S32MK ABM engagement radar, both part of the S-300VMK system. The drawing includes the NK Orientir precision navigation system, but shows no datalink mast for dispersed TEL operation. The new 40V6MT replaces the legacy 40V6M/MD series. It appears to be an entirely new design with a different outrigger arrangement, and revised elevating mechanism. It is towed by a BAZ-6403.01 tractor. The 77P6 is closest in appearance to the 9A82MK TEL for S-300VMK, including the use of the legacy 9A82/9A84 gantry and 9Ya238 Missile Launch Tube / Transport Container, used for the 9M82/9M82M / SA-12B/SA-23B Giant missile. Prominent differences from the 9A82MK/9A83MK are the accessory housings, which are considerably more compact, and an outrigger design common to the self-propelled S-400 9P90S TEL. The drawing shows no evidence of the CW illuminator/uplink antenna used with S-300V/VM TELARs, and does not include the NK Orientir precision navigation system, which may be an omission. A - to date designations of these battery components have not been disclosed, S-300PMU2 items listed instead. The 77P6 TEL is to be hosted on a variant of the 10 x 10 BAZ-69096 (image © 2011 Michael Jerdev). 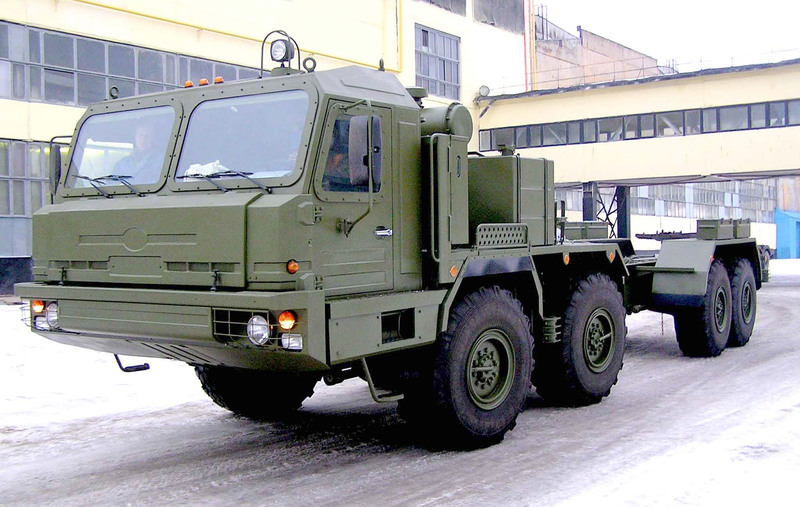 Common S-300PMU2/S-400 22T6-2/22T6E2 transloader based on the 8 x 8 Ural 532361-1012 chassis (Ural). Late model 5T58-2 S-400 transporter towed by BAZ-6402-015 tractor (image © 2011 Michael Jerdev). 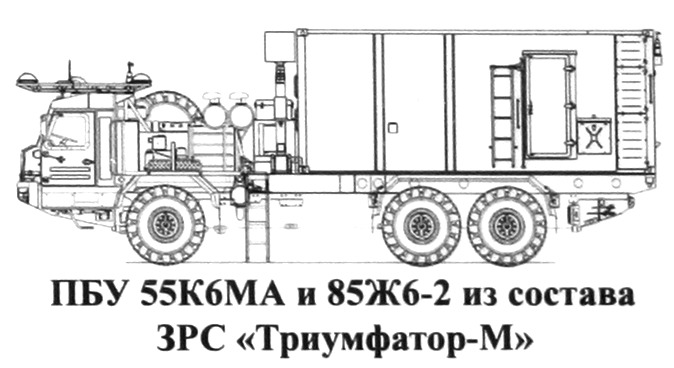 The 55K6MA will be hosted on the BAZ-69092 chassis (Russian Internet). An S-400 55K6 Command Post with deployed antenna mast (image © Miroslav Gyűrösi). 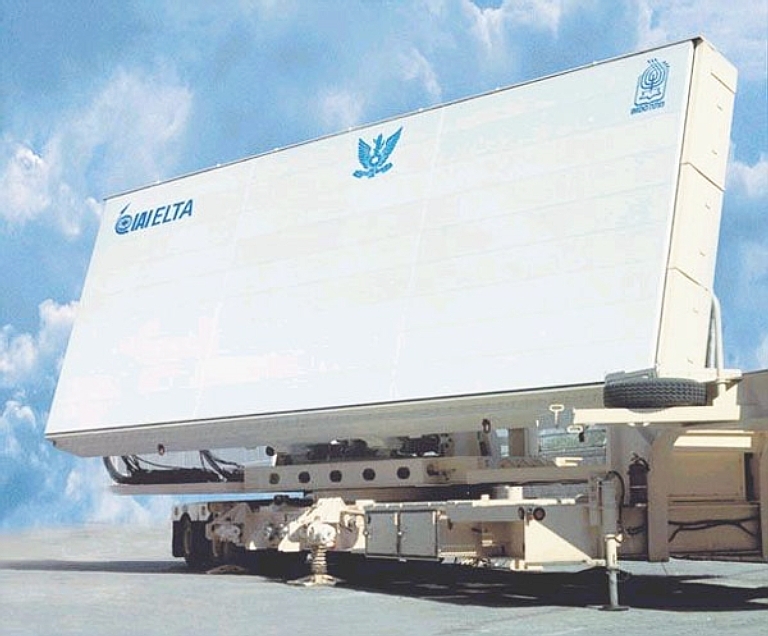 76T6 Multimode Engagement Radar systems will be hosted on the BAZ-6909-022 (BZKT Factory Image). 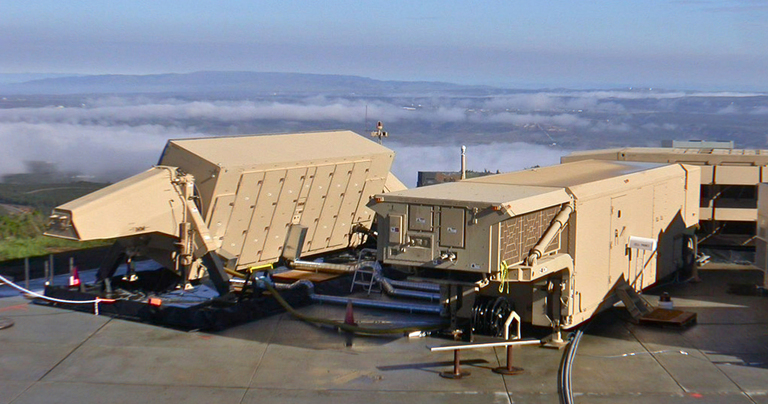 77T6 ABM Engagement Radar systems are to be hosted on a variant of the 10 x 10 BAZ-69096 (image © 2011 Michael Jerdev). The new 91N6E is a derivative of the 64N6E Big Bird series. It is readily identified against the 64N6E by the use of the new build MZKT-7930 tractor. It retains the general configuration of its predecessors. Russian planning is to replace the MZKT tractor with a new (Almaz-Antey). The BAZ-6403.01 is intended to tow the 91N6MA Big Bird radar (BZKT Factory Image). 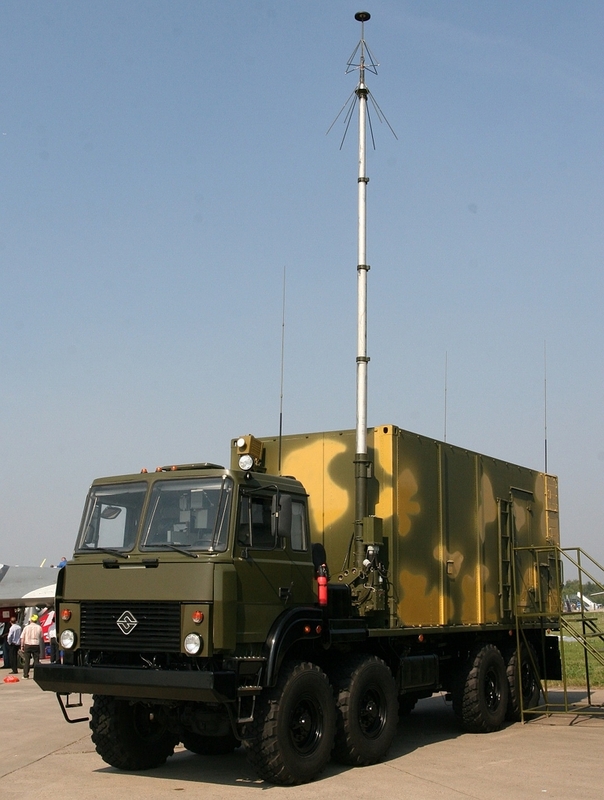 LEMZ 96L6 acquisition radar carried by an MZKT-7930 vehicle (© 2010, Yevgeniy Yerokhin, Missiles.ru). 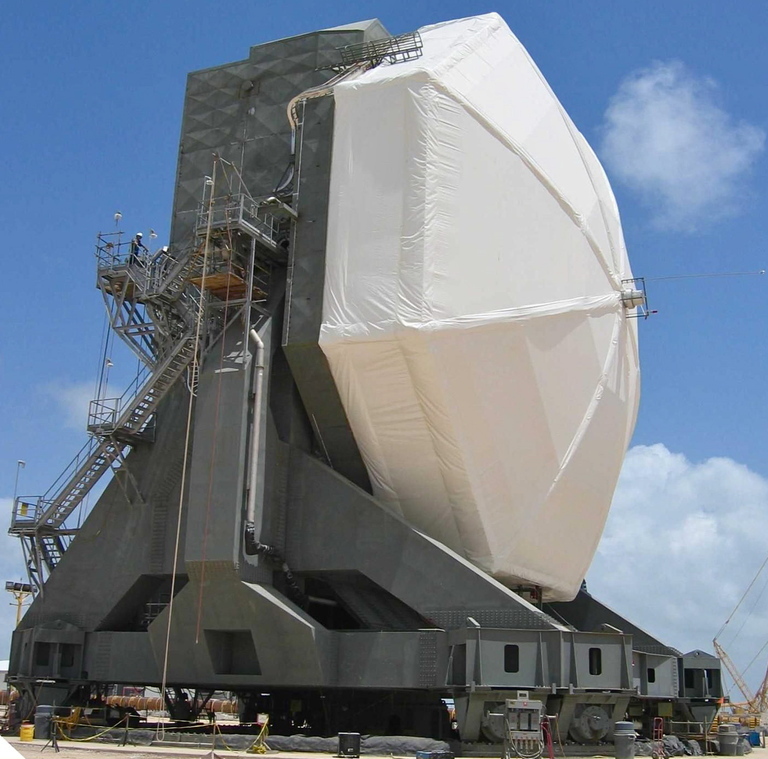 96L6-TsP Acquisition Radar systems are to be hosted on a variant of the 10 x 10 BAZ-69096 (image © 2011 Michael Jerdev). The BAZ-6403.01 is intended to tow the new 40V6MT series mobile mast systems (BZKT Factory Image). Martin-Marietta Sprint ABM prototype. This design was emulated in the Russian 53T6 Gazelle and 9M82 / SA-12B Giant. The IAI Arrow series uses a similar configuration (US DoD). 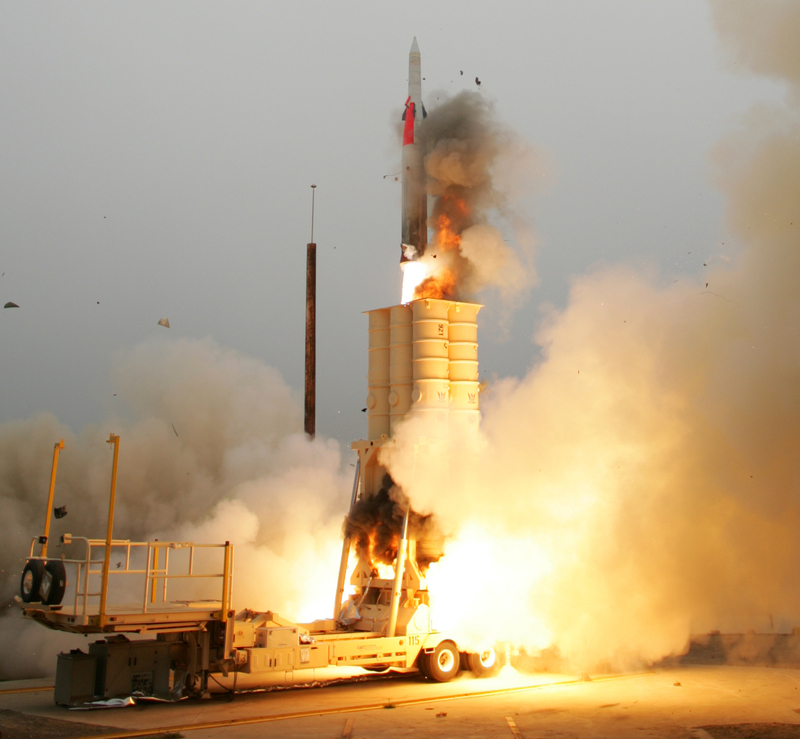 IAI Arrow 2 ABM launch (US DoD). Elta Green Pine ABM radar (Elta). Above: US Army THAAD (Terminal High Altitude Area Defense) high endo-atmospheric interceptor launch. 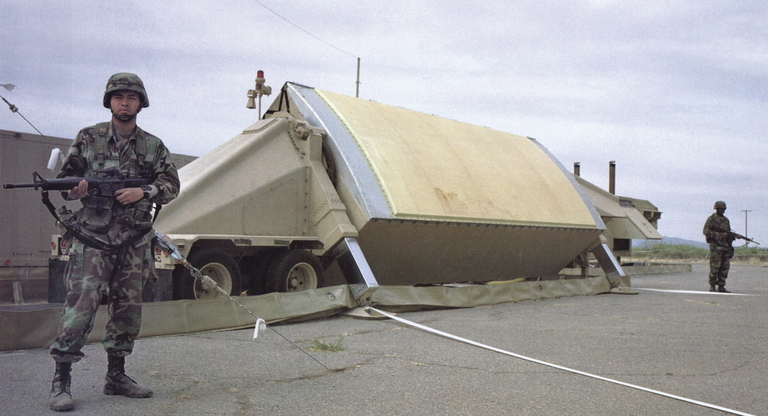 The TEL is a derivative of the Oshkosh M1120 HEMTT (MDA); Below: THAAD interceptor cutaway (MDA). Above, below: Raytheon AN/TPY-2 THAAD-GBR / FBX-T (Theater High-Altitude Air Defense Ground-Based Radar / Forward-Based X-Band - Transportable) is a wideband AESA operating in the X-band, using 25,344 TR modules. 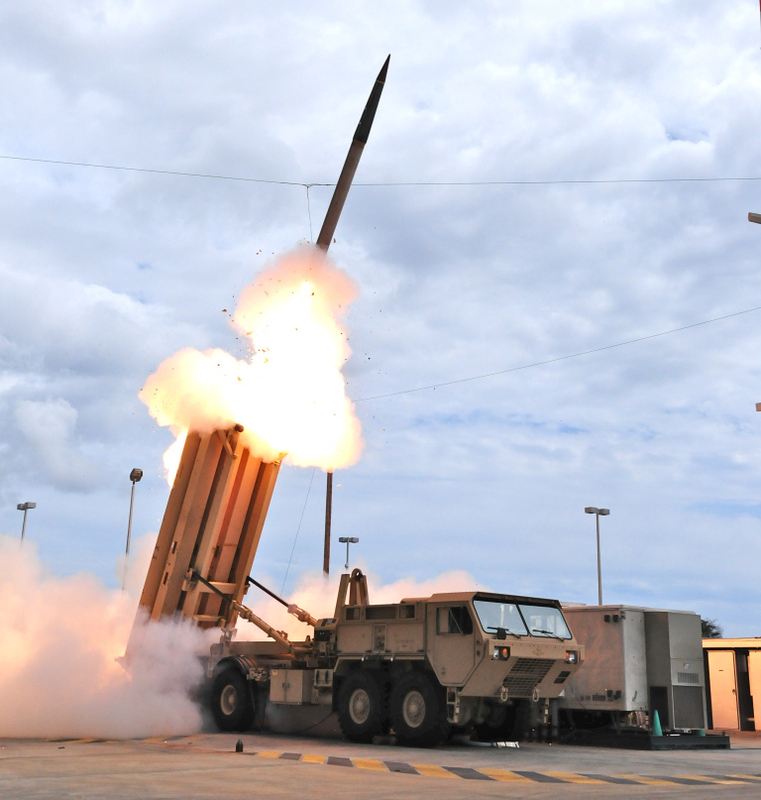 The design is semi-mobile and performs both acquisition and engagement functions in the THAAD system, and functions in the FBX-T variant as a forward deployable adjunct sensor for strategic missile defence (MDA). 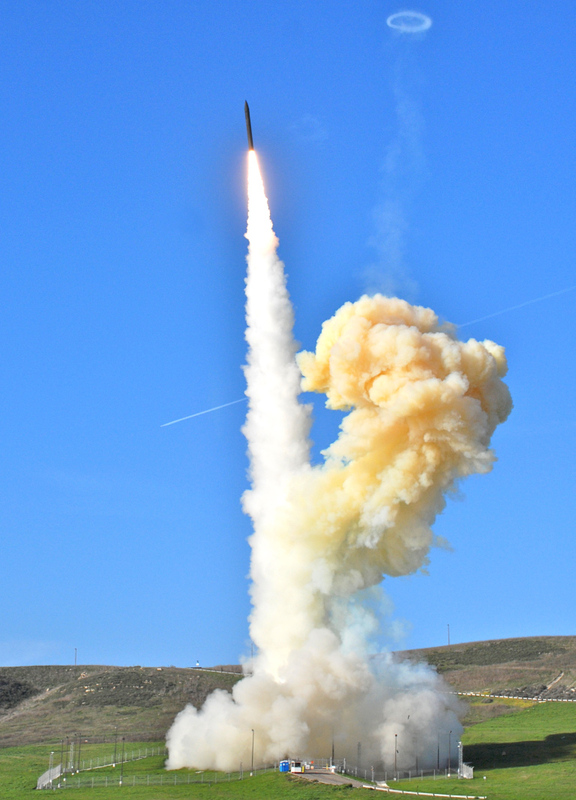 Above, below: The silo launched US Boeing Ground-based Midcourse Defense (GMD) system employs the Boeing Ground-Based Interceptor (GBI) three stage exo-atmospheric weapon equipped with a 63 kg terminally guided Raytheon Exoatmospheric Kill Vehicle (EKV). 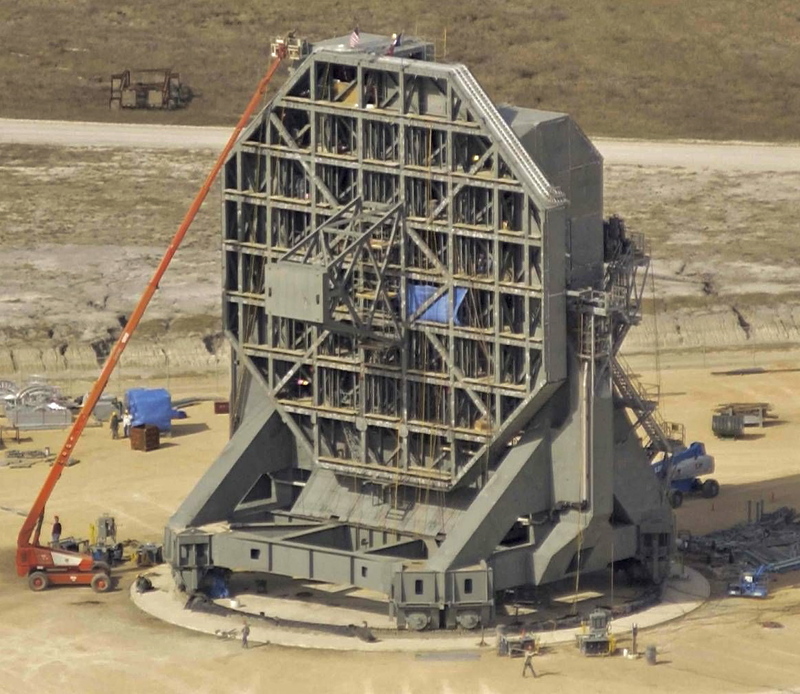 The booster stack is built by Orbital Sciences Corp, using Taurus ELV stages (MDA). GBI emplacement in silo at Ft. Greeley, Alaska (MDA). Above, below: The SBX (Sea Based X-band) radar is the primary sensor for tracking and engagement in the GBI system. 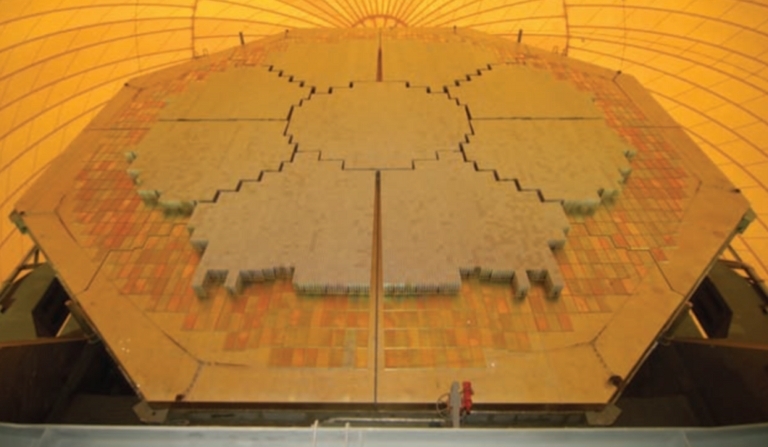 The design is a 22 metre diameter AESA with 45,056 TR modules. 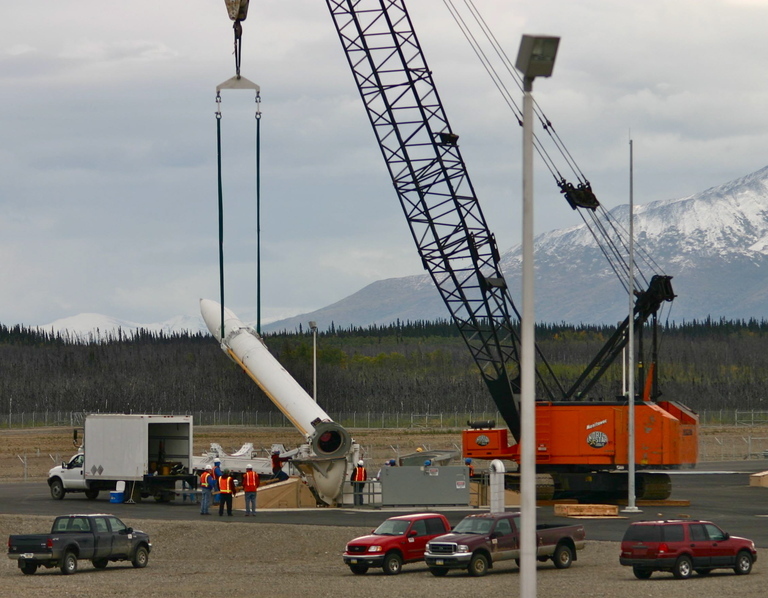 Depicted array support frame under construction, and deployment platform with antenna radome (MDA). Igor Ashurbeyli, Interview, “Мысль российского инженера работает быстрее, чем мысль российского бюрократа” [The thoughts of a Russian engineer happen faster than the thoughts of a Russian bureaucrat], Kommersant, № 77 (4377), 30.04.2010, URI: http://www.kommersant.ru/doc/1361838/print. Sean O'Connor, Russian/Soviet Anti-Ballistic Missile Systems, Technical Report APA-TR-2009-1203, URI: http://www.ausairpower.net/APA-Rus-ABM-Systems.html. Александр A Леманский, Игорь Р Ашурбейли, Николай Э Ненартович, ЗРС С-400 "Триумф": обнаружение - дальнее, сопровождение - точное, пуск - поражающий, Воздушно-космическая оборона, No.3 (40) 2008, URI: http://www.vko.ru/. Александр В. РЯЗАНОВ, Виталий В. СЕМЕНОВ, Анатолий С. СУМИН, Система ПВО «Фаворит»: новые возможности, Воздушно-космическая оборона, No.2 (45) 2009, URI: http://www.vko.ru/. Miroslav Gyűrösi, Russia plans new chassis for S-400 Triumf SAM system, Janes Missiles and Rockets, p11, June, 2009. Е.Г. Болотов, Б.Я. Мизрохи, Новое поколение зенитных управляемых ракет средней дальности (A new generation of medium range surface to air missiles), Специальный выпуск журнала "Полет" к 50-летию МКБ "Факел", 2003 г., URI: http://pvo.guns.ru/book/fakel/new_gen.htm.